Montreal, Thursday April 30th 2009 - InterBox and Groupe Yvon Michel (GYM) are proud to announce that Adrian « The Shark » Diaconu (26-0-0 15 KO) will defend his WBC World Light Heavyweight title against fellow Montrealer Jean Pascal (22-1-0 15 KO) on Friday, June 19th at the Montreal Bell Centre. Presented by the Casino de Montréal, this historical bout will mark two milestones: It will be the first World title bout disputed by two Quebecers, and the first collaboration between InterBox and GYM. Both promoters worked jointly and relentlessly over the past few weeks, culminating in a deal being reached this morning. On June 19th, Adrian Diaconu will step into the Bell Centre ring to defend his WBC championship title for the first time. Jean Pascal will be disputing his second career world title bout, the first being a tremendous and courageous effort last December 6th 2008 in an all action war against current WBC 168 lbs champion Carl Froch. The Shark and Jean Pascal both boxed in separate boxing events last April 4th. Adrian Diaconu easily outpointed David Whittom in a unanimous decision win, and Jean Pascal scored a KO in the 5th round against Pablo Daniel Zamora Nievas. XMMA is The REAL DEAL! XMMA continues to make its mark as the number one MMA organization in Canada. In June, Steve Bosse will make his debut for XMMA, and one month later, Ryan "Real Deal" Ford doing the same. Ryan Ford has an 8-2 record, with both losses coming at the hands of IFL, WEC, and UFC veteran Pat Healy. Ford will be taking on current IQMMA champion Markhaile "Showtime" Wedderburn (8-4), who is looking to rebound after suffering a 1st round loss due to injury. This is truly going to be a STACKED fight card on July 18th at the Pierre Charbonneau arena, and The Franchise will be working hard to bring you interviews with each of the fighters involved! Were you among those that agreed with Jacques Demers concerning Alex Tanguay's injury? Are you still wondering why Sergei did not participate in the IIHF tournament? Were you perplexed as to the drop off in Max Paccioretty's performance that prompted a demotion back to Hamilton? Please read on as the Canadiens provide some medical updates on these particular players. The Franchise has updated our MMA rankings for each of the official weight classes. 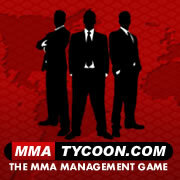 The rankings have come courtesy of Jordan Small, owner and operator of MMA Hangover! 7, 2009 at the International Centre. Grandmaster Alvaro Barreto (pron. ba-hetto), a 9th Degree Red Belt, is recognized as one of the top BJJ masters in the world. The Ultimate Fighting Championship's President, Dana White, has recently confirmed that former UFC light heavyweight champion, Forrest Griffin, will be returning to the octagon to face the most dangerous man in the UFC, Anderson "The Spider" Silva, in the co-main event of UFC 101 which will take place on August 8th. Griffin's original opponent for UFC 101 was thought to be Thiago Silva and it is still up in the air whether or not Thiago will be featured on the 101 card as of a result of the change. Anderson Silva will be moving up to the 205 lbs division to fight Griffin in this non title fight. Griffin is coming off a UFC 92 defeat to Rashad Evans where he lost the UFC lightweight title in the second round by TKO, While Silva is coming off another strange title defense at UFC 97 where his challenger, Thales Leites, basically gave up on fighting Anderson after the second round, which made for a lackluster main event. This match up was made to be an exciting fight and will give the North American fans what they want, a back and fourth stand up war. It's definitely a win/win situation for Griffin and it will be bad news for Anderson if he should lose this bout due to his previous two performances at UFC 90 and 97. This bout adds to an already stacked card which will feature Kenny Florian challenging B.J. Penn for the UFC lightweight title in the main event of the night. Also, an epic heavyweight bout will go down when legends clash as Randy Couture and Antonio Rodrigo Nogueira finally meet in a three round battle. Bellator IX in Montreal will feature the Middleweight (185 lbs.) semi-final match-ups, including the bout between former Olympian and world ranked sensation Hector “Shango” Lombard and tough as nails seasoned veteran and Army Ranger Damien Stelly. Lombard returns after his 70 second first round knockout of Virgil Lozano at Bellator III that stunned the Oklahoman crowd. Damien Stelly enters this match after a unanimous decision, defeating MMA legend and veteran Alex “el Toro” Andrade. Also, competing for a shot in the Middleweight World Title is undefeated blue-collar beat-down machine Jared Hess taking on legend-killer Yosmany Cabezas. Hess ended Spanish fighter Daniel Tabera’s quest for Bellator glory at Bellator IV with a dominating performance culminated by a rear naked choke in the first round. Cabezas stunned the Bellator III crowd with an armbar victory over the Mexican veteran of more than 30 fights Edwin Aguilar. The winners of each semi-final fight will collect $50,000 and advance to the Bellator World Championship title fight to compete for the belt and grand prize of $100,000.